Expectant mothers are worried about sleep deprivation once their little angel arrives. What most of these women don’t anticipate is that they are more likely to experience sleep problems even before they give birth. Pregnant women usually suffer from sleep disturbances. The most common causes are anxiety, stress, physical discomfort, and hormonal changes. As an expectant mother, you might be currently suffering from sleep problems; however, it is very important to overcome this. Sleep is essential for your health, as well as that of your unborn child’s. Here are a few tips to get a better, more comfortable, and peaceful night’s sleep. Congratulations! Being pregnant is one of the most celebrated moments in a woman’s life. But as a working mum, you may be torn between your nine-to-five job and taking nine months off to take better care of yourself and your baby. However, you don’t have to be anxious about choosing between your career and pregnancy. As long as your doctor says it’s okay to work, you can still manage a career and pregnancy at the same time. Take note of the following advice to help you survive the day. There are few experiences more exciting or exhausting than being pregnant…especially when you have other children already asking for your energy and attention. Balancing morning- sickness, doctor’s appointments, and caring for your own needs and the needs of several small children can at times seem impossible. How do you give your children the time and attention they need when you’re too tired or sick to get out of bed? Holistic body lotions for stretch marks – make your own! Any woman who has been pregnant wonders about stretch marks! When I was pregnant myself, I remember the abdominal itchiness associated with my expanding belly! For some relief from itchiness and to prevent stretch marks, I purchased some creams back then. I wondered about the safety ingredients in the creams I was buying and applying to my skin, right above where my son we growing in my womb. I wondered, how much does my skin absorb? In a recent study, researchers at the University of Helsinki found that the prenatal brain has the neuro-developmental capacity to learn (retain) words. Any woman who’s ever gone through a pregnancy knows the frustration and discomfort of vomiting. It’s a deep type of sickness that grips you at the core of your being. Having gone through several myself, and one with twins, I share your pain and will tell you what I did to cope, manage and even get rid of the nausea. If you’re pregnant, or will be soon, then listen up! This is for you. A recent study about finding a link between postpartum depression and fear of childbirth has been getting a lot of press. The press I read reported the study showed a prevalence of .03% of postpartum depression. I felt like the public was being fed bits and pieces of the study, so I read the whole article and wanted to bring out a few key facts. Negation of Pregnancy: Research and What Can Childbirth Educators Do? 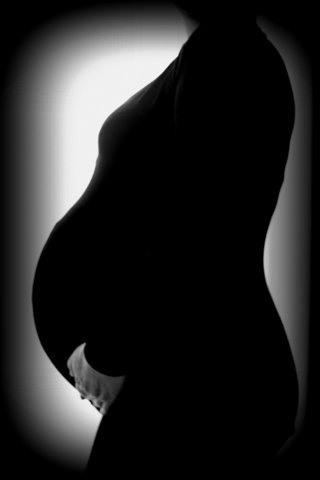 Negation of Pregnancy or Denial of Pregnancy: Is it real? I was busy over at Science and Sensibility this week with a guest post as a Perinatal Mental Health contributor. Pregnant Families: Are You Wondering What the Options are for Childbirth Providers and Settings? This is info-graphic, from the Institute of Medicine and National Research Council, a part of the National Institute of Sciences, provides a quick glance at where women in the United States give birth and the types of providers who assist them. There is also a short list of what factors can create a high-risk pregnancy. I wonder every day why MindBody practices aren’t brought into the hospitals to support and enhance the experiences of birthing women. Mindbody practices support people on multiple levels. Relaxation practices slow the reactivity of the stress response down.